Thapki Shocked To See Bihaan In Job Of Waiter! Thapki Pyaar Ki 29th February 2016 Written Updates :- The daily soap “Thapki Pyaar Ki” last night episode starts with Shradhdha try to seduce Bihaan but Bihaan stay unaffected. Bihaan was in hurry for interview so he rushes to the interview. But in the interview Bihaan has been rejected for not knowing English as well he demands his salary in advance. The office humiliated him as well drive him out from the office. In the home Vasundhara and Shradhdha keep insulting Thapki when she was being busy in stitching clothes. Even Shradhdha taunts her that she is now in mission to earn money as her useless husband Bihaan is not worthy of earning money. Thapki feels humiliation and lost her grip and because of her distraction her foot has been cut and bleeds out. Thapki thinks this sign of an inauspicious so she prays to god that Bihaan should get job and god should shower Bihaan with good blessings. 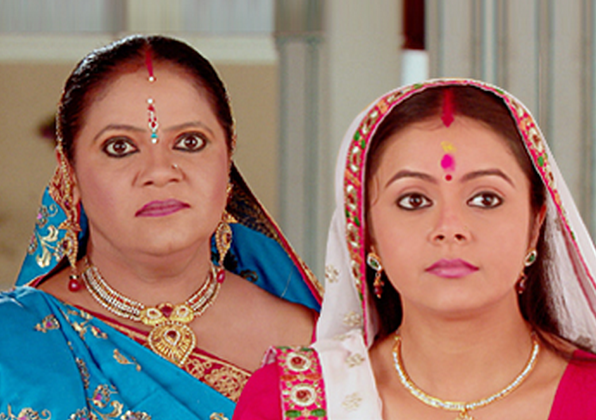 In the mean time, Vasundhara and Shradhdha keep insulting Thapki and giving her works all the day to keep her busy. Literally, Shradhdha and Vasundhara keep treating Thapki as a servant. The next scene of the daily soap “Thapki Pyaar Ki” shows that, Bihaan requests a man to hire him; he has no conditions, help me, give me 10000rs advance. The man says you have no education and experience, you won’t get job anywhere, go from here. Bihaan gets sad. Thapki stitches clothes, dressing by her wounded feet. Precap: Bihaan tells Thapki that you said right, Lord will support us, I got a job. Thapki gets a call and lady asks her to come to some restaurant. Thapki goes there and waiter appears there to bring water from them and Thapki saw that the waiter turn out to be Bihaan. Thapki get shocked and tears come in her eyes.